Tried this recipe for the first time. Came out really well. Here is the recipe I followed, by Vidhu Mittal. ~Heat 1 tbsp oil in a non-stick pan for 30 seconds; add cottage cheese and fry, on medium heat, on both sides until light brown. Remove, cool, and cut into 1" cubes. Set aside. ~Heat 3 tbsp oil in a pan for 30 seconds; add bay leaves, grated onion, and ginger paste; fry until light golden brown, stirring occasionally. Add red chili powder and turmeric powder ; mix well. Add liquidized tomato and fry until the oil separates. Add beaten yogurt and fry until oil separates. ~add cream, green peas, and cottage cheese; cook for a minute. ~Add 1 1/2 cups water, salt to taste, and sugar. Bring to a boil and simmer for 5 minutes. 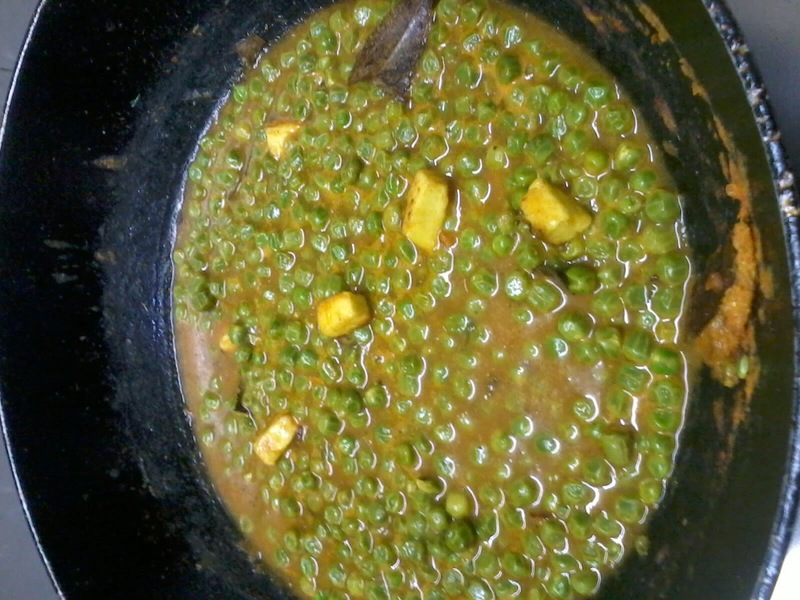 Add garam masala and cilantro leaves; mix. Serve hot.